Today was my first day back to work after my long vacation overseas and also after the longest government shutdown in US history. 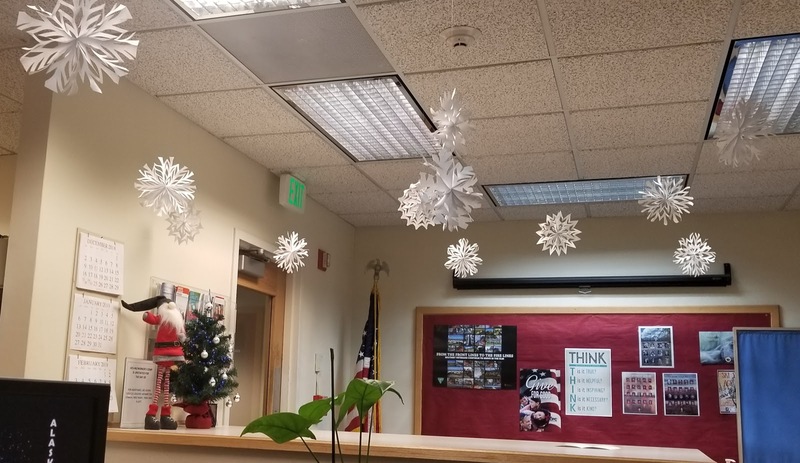 I showed up to work and my Christmas decor was still up. Some of my co workers just returned to work few days ago after the shutdown. 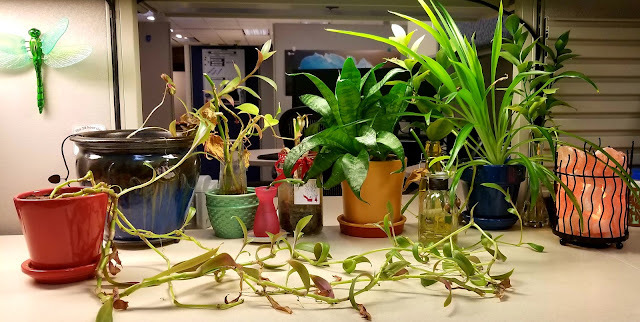 I'm really grateful that someone watered my plants during the shutdown. First day back to work and no sleep. I've been up 29 hours now. I haven't adjusted to the time here yet. I couldn't sleep last night my body was telling me it's not time to sleep yet, being it was daytime overseas. I went to work with no sleep and worked all day long. But I survived! This was on my way back home. 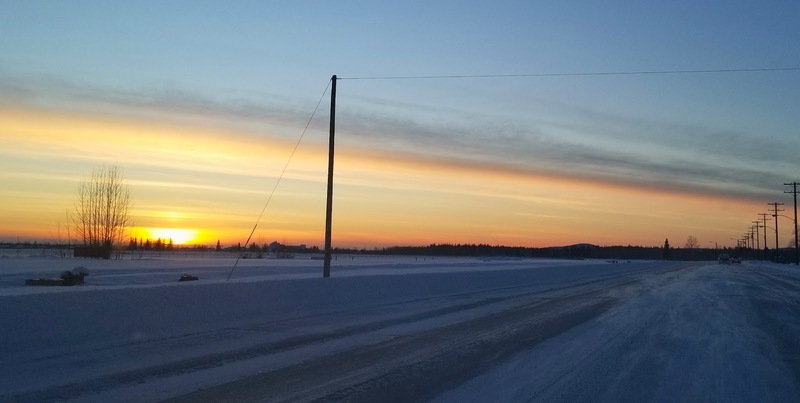 I do love the sunsets and sunrises here in Fairbanks, Alaska. They do put out great shows.